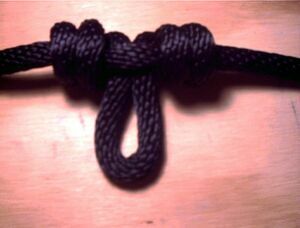 There are two main methods of tying the dropper loop. Form the loop and then use a matchstick to twist up the overlap. Finally drop the loop through the central twist. This page was last edited on 30 March 2007, at 22:22.